To get to the perfect balance of form and function we start with design. First we discuss with you what you're looking for, then we take the time and care to create a pattern or template before we begin the actual manufacturing The results speak for themselves and we are happy to say that we still get most of our canvas works business from word of mouth recommendations and the reputation that we've built over the years. 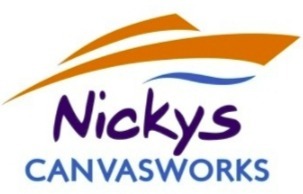 Submitting this enquiry gives us permission to share your name and email address with Nicky's Canvasworks. We will not share your details with any other external parties.